Until contact lenses were popularized in the 1950s, eyeglasses for at least the past seven centuries had been the only practical way to correct refractive vision errors. Now, several modern approaches to corrective eye surgery range from laser reshaping of the eye's surface in procedures such as LASIK and PRK to surgical insertion of artificial lenses to correct eyesight. In LASIK, PRK, and similar procedures, laser energy reshapes the curvature of the eye's clear front surface (cornea) to alter the way light rays enter the eye. Artificial lenses surgically inserted into the eye also can refocus light rays to sharpen vision. Over the past 25 years, surgical techniques, tools, and procedures for vision correction have evolved rapidly. Radial Keratotomy (RK), used in the United States primarily during the 1980s, involved cutting spoke-like incisions to flatten the eye's surface mainly to correct nearsightedness. But results, especially long-term, created problems for some individuals. Significant glare, regression, fluctuating vision, and other side effects such as night vision problems were common in patients who had RK for higher prescription strengths, while such side effects were less frequent in patients with lower prescriptions. RK is now virtually obsolete as a primary vision correction procedure for these reasons and because of advances in laser vision correction procedures. Photorefractive Keratectomy (PRK) was the first successful laser vision correction procedure used to remove (ablate) tissue directly from the eye's surface to change the curvature of the cornea. PRK, also known as surface ablation, was performed outside the United States during the 1980s and received FDA approval in 1995. PRK is still commonly used, but LASIK (see below) is by far the most popular laser procedure today. However, PRK has made somewhat of a comeback in recent years because of studies indicating that PRK and LASIK produce similar outcomes. Also, nerve regeneration in the eye's surface appears to take place faster with PRK than with LASIK following a procedure, which could have implications for reducing dry eye and other complications that might occur until the healing process is complete. Because PRK is a surface procedure, there also is no risk of surgical flap complications. PRK does not involve creating a thin, hinged flap on the eye's surface, as occurs with LASIK. PRK also appears to be a safer procedure in cases when a person's cornea may be too thin for LASIK surgery. Recent technological advances have given eye surgeons better methods of creating thinner flaps in a predictable way, meaning that people with thin corneas now might be candidates for a LASIK procedure. However, you probably should consider a different type of vision correction procedure if you have a thin cornea and high degree of myopia that would require extra ablation to reshape the eye. LASEK involves creating an ultra-thin hinged flap in the thin outer covering (epithelium) of the eye and floating it away from the eye's surface with alcohol so that laser reshaping of the eye can occur. Epi-LASIK is like LASEK, except that a special cutting tool is used to lift the flap. Bladeless LASIK eliminates the need to use a bladed instrument (microkeratome) in LASIK surgery. Instead, a femtosecond laser is used to create the corneal flap prior to reshaping the cornea with an excimer laser. Other names (including brand names) for bladeless LASIK include blade-free LASIK, all-laser LASIK, femto LASIK, Intralase LASIK, intraLASIK, iLASIK, VisuMax and zLASIK. Wavefront LASIK or PRK (also known as wavefront-guided, wavefront-assisted, or custom LASIK/PRK) incorporates ultra-modern analysis, known as wavefront, to measure precisely how light travels through the eye. Excimer lasers with built-in wavefront analysis can detect and automatically adjust for subtle vision errors when laser energy is applied to reshape the cornea. Studies suggest wavefront-guided LASIK helps maintain contrast sensitivity and reduces the risk of night glare after LASIK surgery, explained in our Q&A about custom LASIK. Conductive Keratoplasty (NearVision CK by Refractec) uses a tiny probe and low heat radio waves to apply "spots" around the periphery of the eye's clear front surface. This relatively non-invasive method steepens the cornea, to provide near vision correction for people who are farsighted. CK also can be used to correct presbyopia or enhance near vision for people who have had LASIK or cataract surgery. CK received initial FDA approval in 2002. Implantable Lenses (Visian ICL and Verisyse), similar to contact lenses, first received FDA approval in 2004. These surgically implanted lenses primarily are considered appropriate for higher levels of nearsightedness. When implantable lenses are used, your eye's natural lens is left in place. Both of these lenses have a long track record of use, including more than 15 years in Europe. Refractive Lens Exchange is another non-laser, internal eye procedure. RLE is much like cataract surgery. But instead of removing the eye's natural lens that has grown cloudy due to cataract formation, RLE involves removing a clear natural lens and replacing it with an artificial lens of a different shape, usually to reduce or eliminate high degrees of farsightedness. RLE also might be considered as an option for correcting other types of vision problems, such as nearsightedness. But RLE has a higher risk of complications, compared with other vision correction procedures. For these reasons, RLE typically is used only in cases of severe vision correction needs. Cataract surgery also can now be considered a vision correction procedure. New lens implants developed for cataract surgery can partially restore a person's near vision in addition to correcting nearsightedness and farsightedness. These lenses, called multifocal IOLs or accommodating IOLs, currently are being used by many cataract surgeons, with promising results. Also, toric IOLs that correct astigmatism can be used during cataract surgery to further reduce the need for eyeglasses after cataracts are removed. While Medicare and health insurance will cover basic costs of cataract surgery, you can elect to pay out-of-pocket for the extra costs of these more modern lenses that potentially can restore a full range of vision. This is why cataract surgery now also can be viewed as a refractive surgery procedure, but only when you opt to pay extra for full vision correction. In some cases, vision correction surgery may be ruled out entirely. Children under age 18 rarely would be considered candidates for laser vision correction because their eyes change too rapidly as their bodies grow and mature. If you have uncontrolled glaucoma, you likely would not qualify for LASIK or certain other procedures. Keep in mind that, generally, anyone who is pregnant should not undergo any form of elective vision surgery, because hormonal changes might affect the treatment's accuracy. Lifestyle also can make a big difference in the type of vision correction you need. A seamstress requires keen near vision. Computer users need good vision at intermediate ranges. And a pilot needs to preserve depth perception to make good spatially oriented judgments while flying. Monovision. With this approach, LASIK may be used to correct one eye for distance vision and the other eye for near vision as a solution for presbyopia, a focusing problem that affects all people beginning at around age 40. However, some people cannot adjust to monovision. You might first consider wearing contact lenses providing monovision or trying it with "trial lenses" in your doctor's office, to make sure this approach works for you. CK also provides a type of monovision, but with a more full range of vision in the corrected eye. Example of a multifocal and accommodating intraocular lens for cataract surgery and refractive lens exchange. Shown is the Tecnis (AMO). Multifocal or Accommodating IOLs If you choose this type of lens for a refractive lens exchange or cataract surgery, your eye's natural lens will be replaced permanently. These artificial lenses potentially can restore a full range of vision, but can also produce side effects such as decreased depth perception or night vision problems in the form of halos or glare. Also, you may still need to wear eyeglasses or contact lenses or have a "laser touch-up," because it's possible the lenses will fall short of restoring a full range of vision. Be sure and discuss the pros and cons of these new lenses with your eye surgeon. Vision Correction for Severe Nearsightedness or Farsightedness. LASIK, PRK and other laser vision correction procedures do have their limitations and may not be the best option for you if you have severe nearsightedness or farsightedness. Some eye surgeons consider implantable lenses (Visian ICL and Verisyse) the best option for extreme nearsightedness. Refractive lens exchange, in which the eye's natural lens is replaced with an artificial one, is a possible option for extreme farsightedness. Particularly if you are older than 40, you also might need to consider multiple vision correction solutions to achieve the very best possible vision for your age and lifestyle. For instance, you might choose LASIK or PRK in your 30s to correct distance vision. Then, when you reach your mid-40s and your near vision is affected by presbyopia, you might follow up with an "enhancement" using conductive keratoplasty. With CK in one eye, you may be able to sharpen near vision blurriness caused by the age-related condition of presbyopia. Most eye surgeons will tell you it's unlikely that any vision correction procedure can give you permanent, optimal vision for a lifetime. Just as you probably needed to change out eyeglasses and contact lenses in the past, you very likely will need a LASIK enhancement or other surgical correction as you grow older, to maintain good vision. Also, keep in mind that all vision correction procedures have the usually slight risk of side effects that can range from mild to severe. 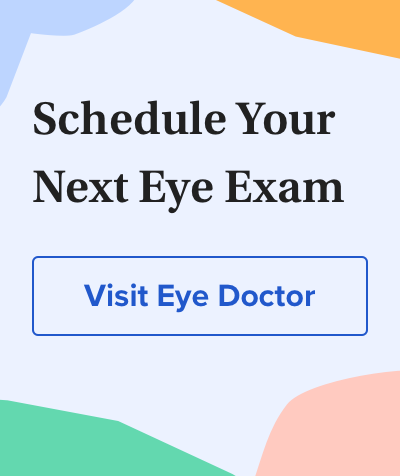 So be sure you discuss all options and potential risks in detail with your eye surgeon or eye care provider before making any final choices.